Technological innovation, quality and flexibility from this global wood recycling machinery supplier. Reinbold was founded in Emmendingen in the Black Forest in 1992, since which it has developed into a global player in the wood recycling industry. Reinbold's single-shaft shredders and briquetting presses are used worldwide and stand proudly as quality machinery in the finest traditions of German engineering. They offer a wide range of machines ideal for different output levels, from small quantities right through to industrial applications. 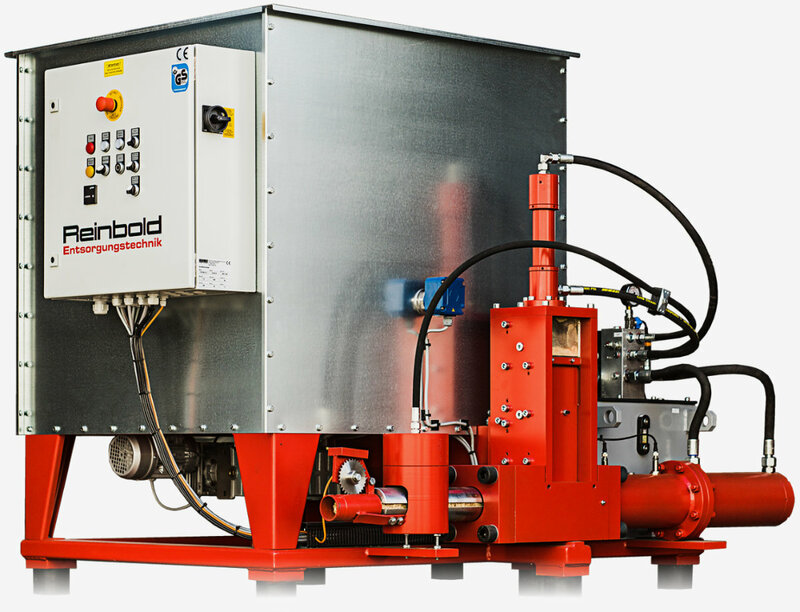 Reinbold machines are purpose-built for practical applications and offer competent solutions to specific customer requirements in the sectors of shredding and briquetting. R&J Machinery offer a fast Reinbold spare parts service, as well as professional and affordable maintenance and repair of existing Reinbold machines. Looking for Reinbold spares? Need a manual? Reinbold offers a sterling range of single-shaft-shredders, multi-shaft-shredders and horizontal shredders. They are suitable for the shredding of wood waste, wood scrap and wood residues in a carpentry environment, for example. 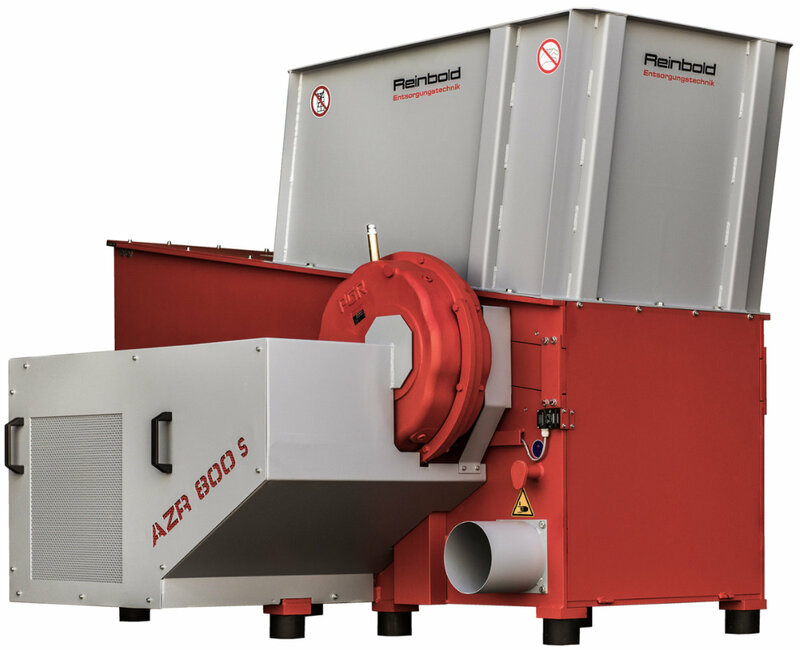 Further characteristics of the shredder are: Robust construction, fantastic reliablity, ease of use, easy maintenance, low operating costs and a wide range of application areas. Reinbold's superior briquetters, featuring high volume reserve containers, are capable of pressing lots of materials such as wood chips from hard or soft wood, sawdust, abrasive dust in combination with other materials, paper, straw, and styrofoam. The range of Reinbold briquetters includes the RB 20 - 60 SV presses which offer excellent power from a compact frame, the RB 100 - 300 S Flexible series which are extremely powerful and come with many useful added features, and the RB 400 RS press specifically designed to produce square briquettes for volume reduction or energy recovery. A selection of the Reinbold shredding and briquetting machines available. The following Reinbold machines are currently available from R&J Machinery. Each machine is prepared to the highest standard by our engineers, and comes with service history and full usage data. Why not visit our showroom to view these used HolzHer machines in operation first-hand? Struggling to ﬁnd the machine you are looking for? Call R&J Machinery on 01455 840224 for the very latest Reinbold machines and stock. R&J Machinery has an extensive working partnership with Reinbold, and we are proud to be a main agent for their machines and spare parts in the United Kingdom. You can be sure that our team are fully qualified to offer you guidance on the Reinbold machine you require, and fully qualified to service and maintain your existing machines to the highest standard. We look forward to talking to you soon about the stunning range of Reinbold machines! Looking for Reinbold advice, servicing or spares? Need a manual? Call R&J Machinery on 01455 840224 and we'll be sure to help you out.